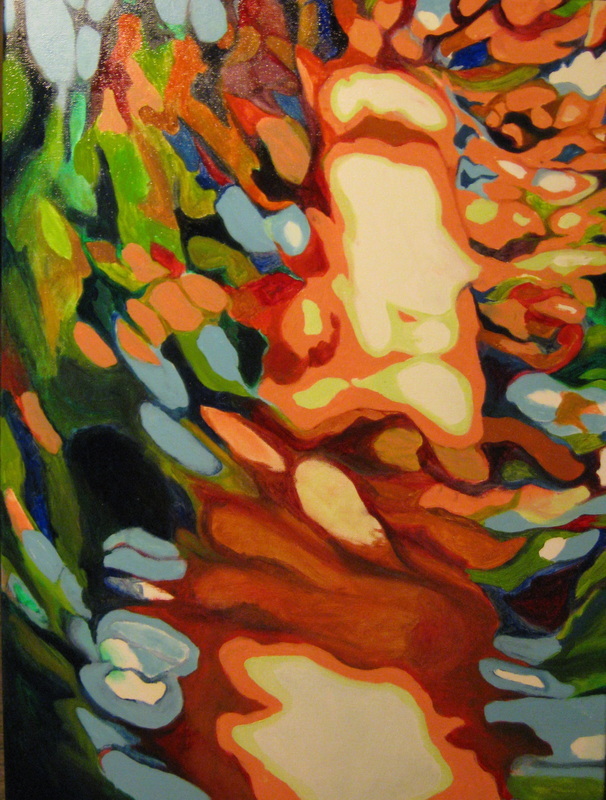 One of my bodies of work explores the concept of Paradise as something sought after by modern society. 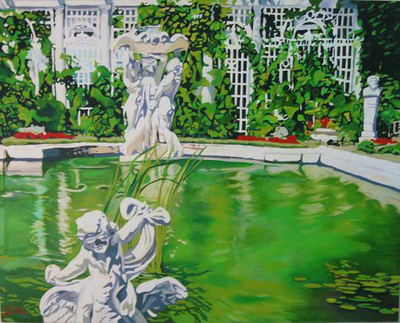 My search centres on gardens--as near as our own backyard and as far away as other continents or the imaginary garden in our consciousness. It has been stated that each garden reflects our longing for spiritual peace--a tie with our primeordal beginnings. It is in the beauty of nature where I find this spiritual peace from a homemade garden to a formal garden, from a tree to the vastness of Grand Canyon, from a rocky coast line to the calmness of a man made pond. 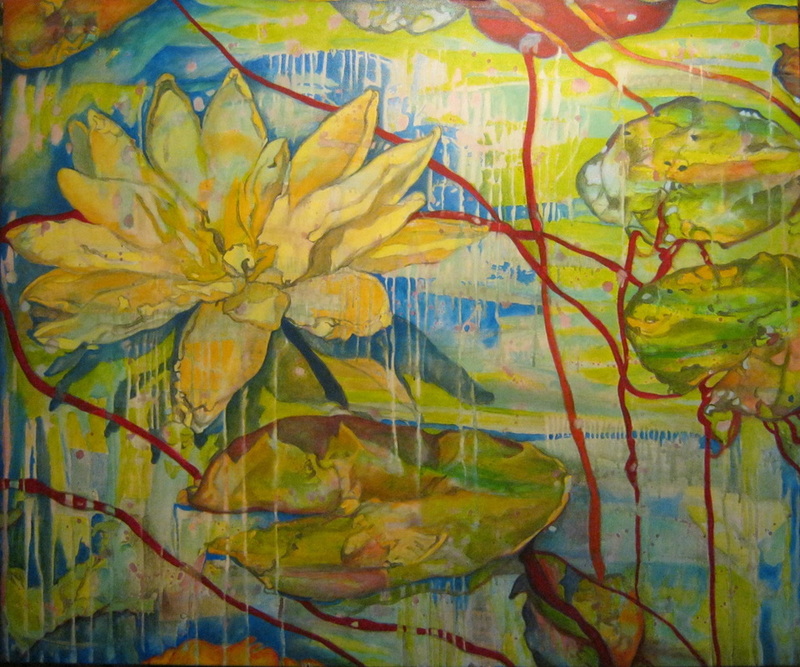 “The artist knows that even though he has created something beautiful, it can be destroyed. His real and innermost satisfaction is not in the object, but in the subject; that thing within him that penetrates the mystic splendor of Beauty itself” (Ernest Holmes pg 39). My paintings lean towards capturing strong contrast between lights and darks and complimentary colours with abandonment to patterns in nature which become a breathtaking splendor of pure colours in the abstract form of flowers. 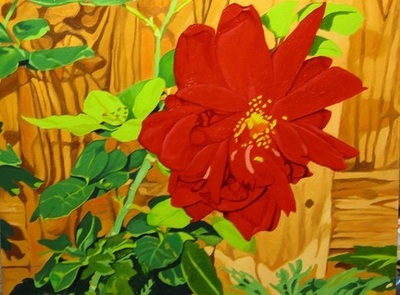 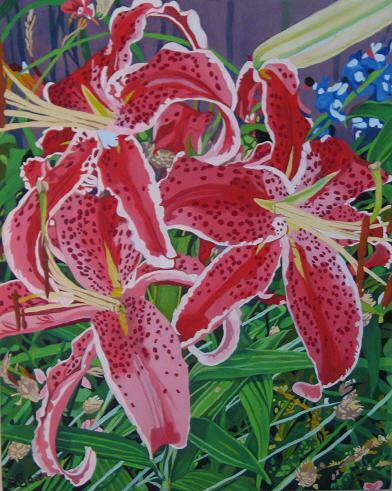 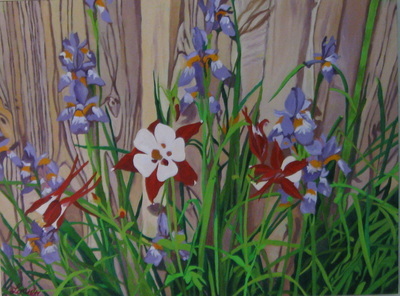 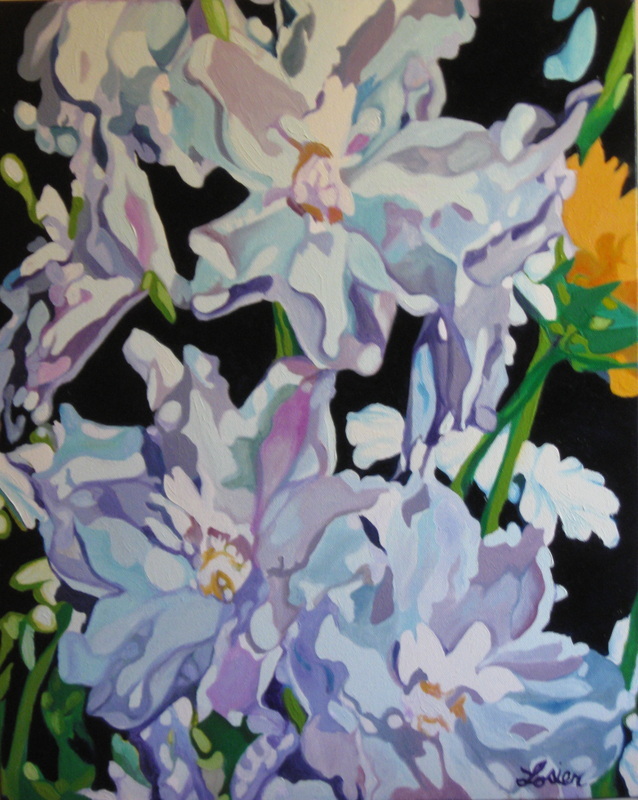 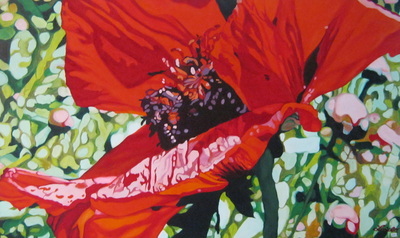 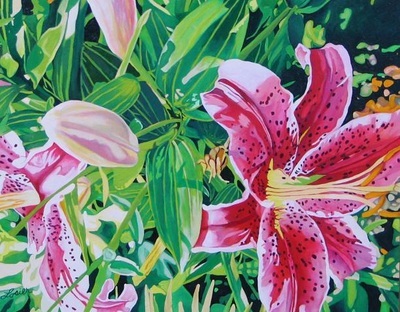 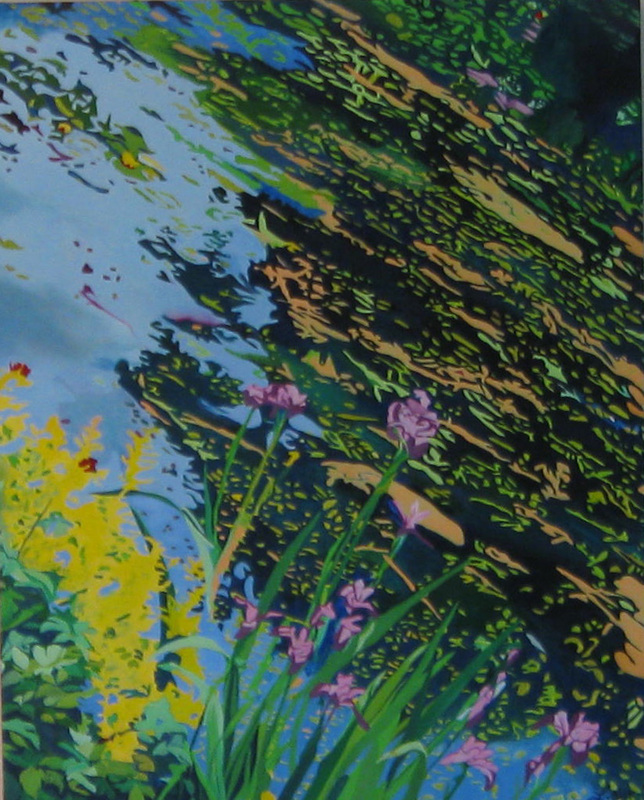 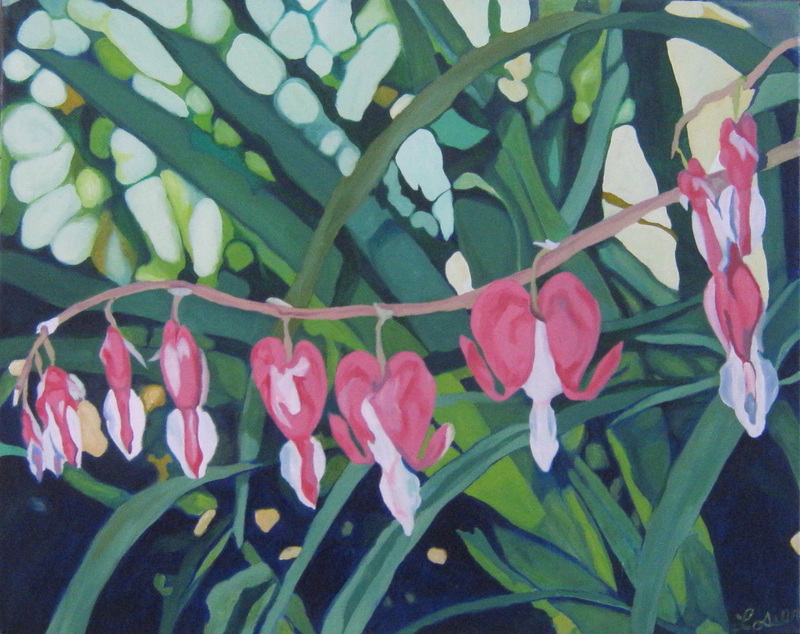 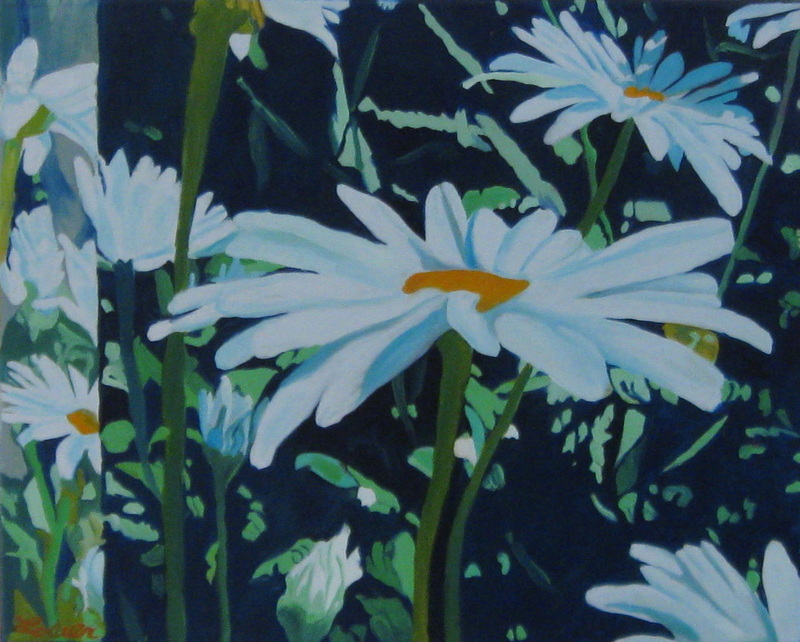 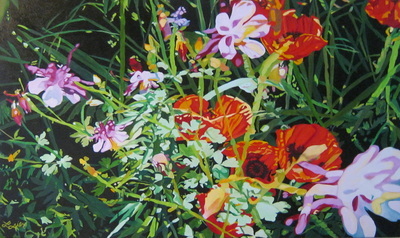 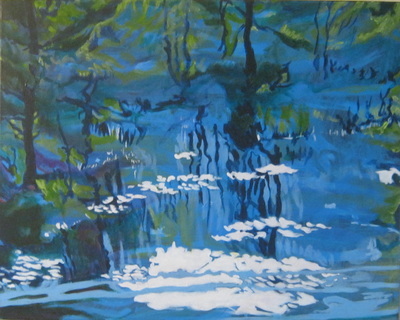 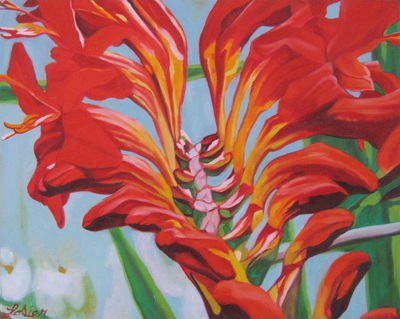 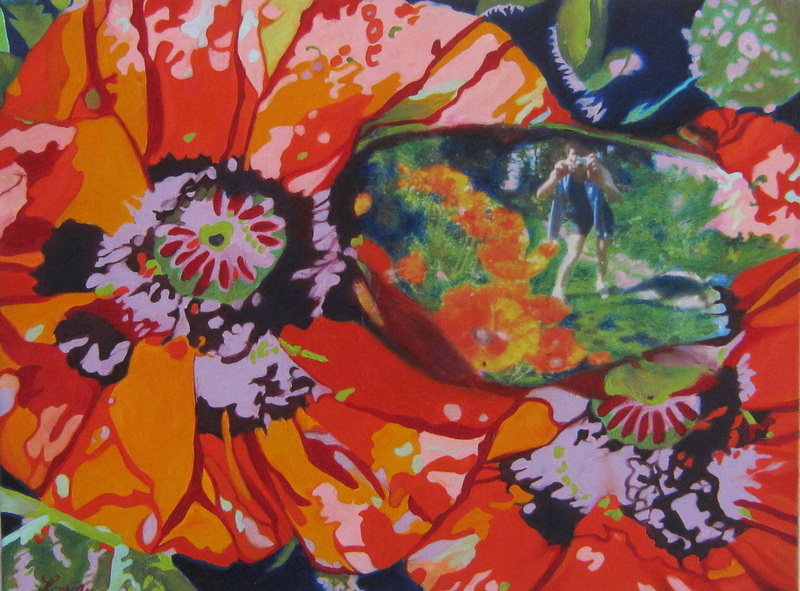 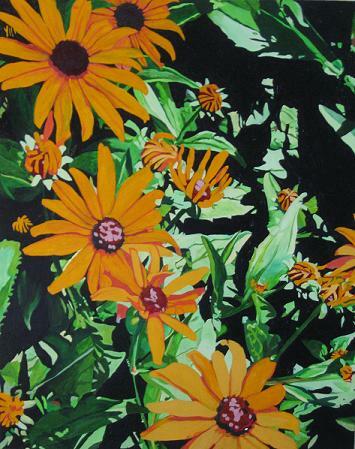 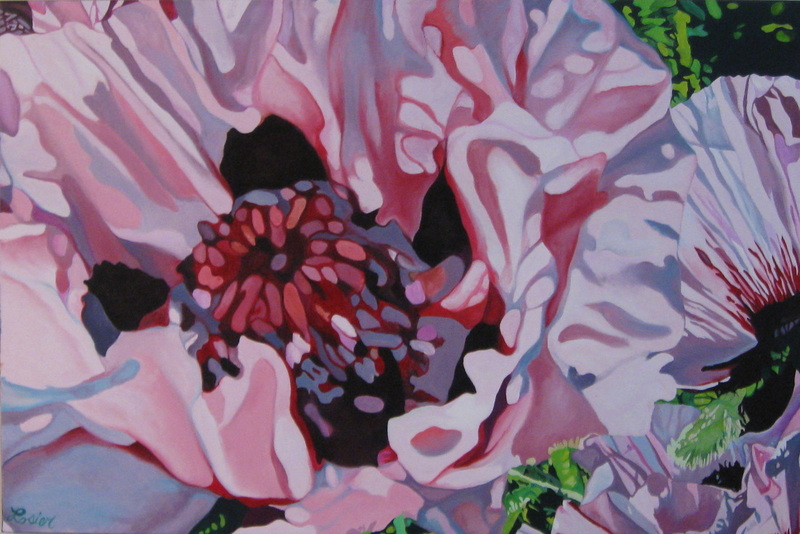 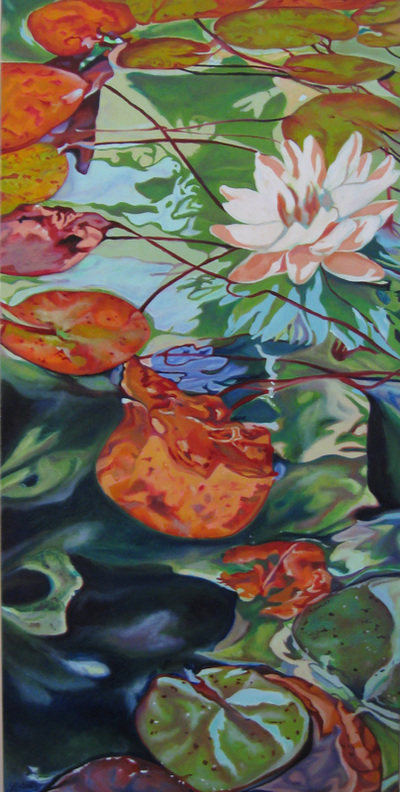 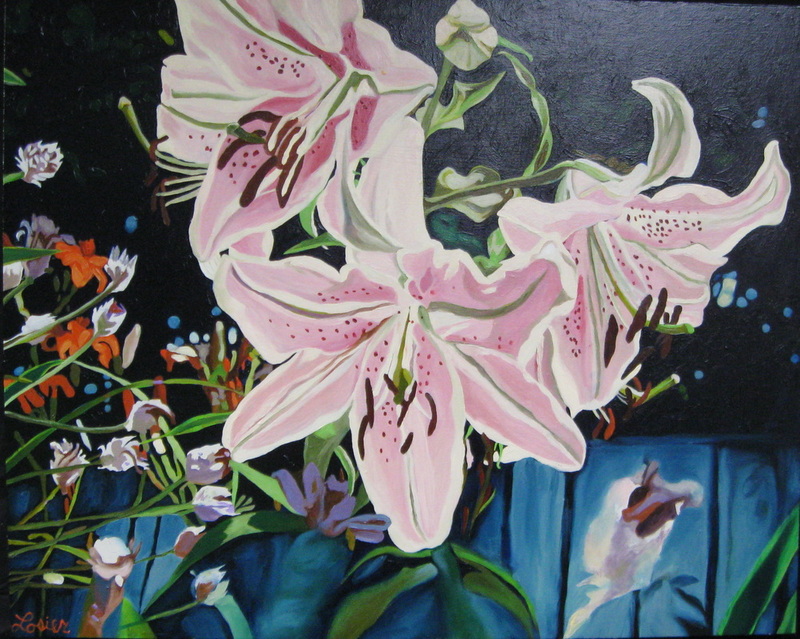 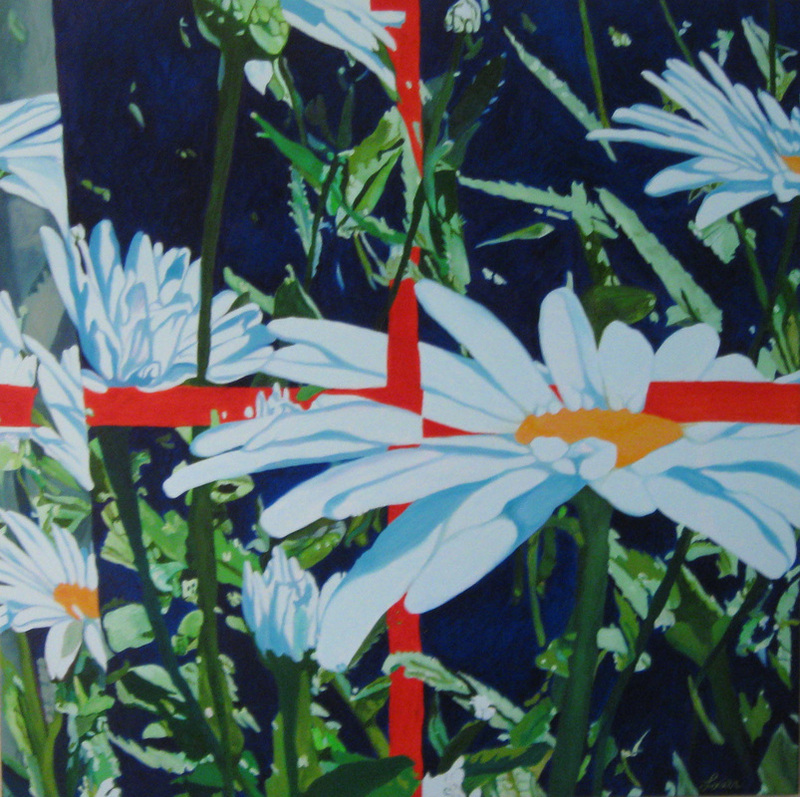 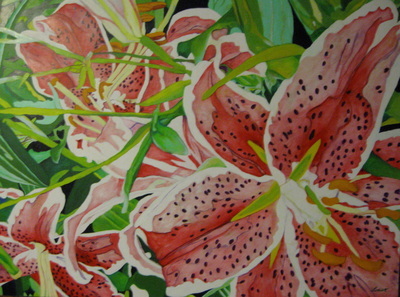 This was my first floral painting which SOLD through art auction. 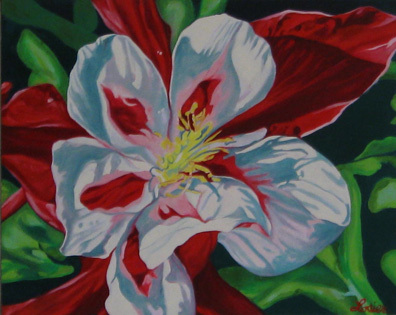 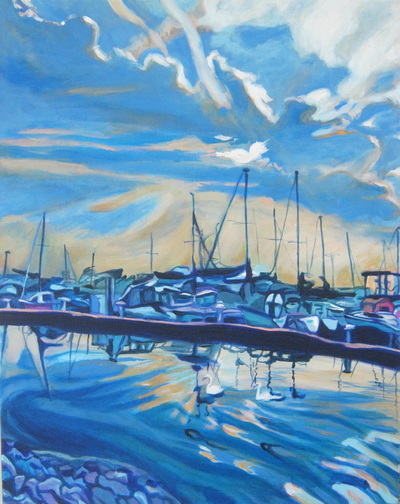 Columbine Twist 2014 20X16, SOLD! 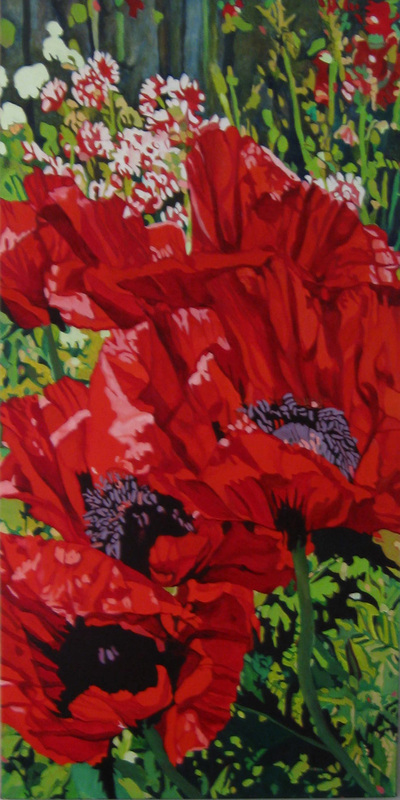 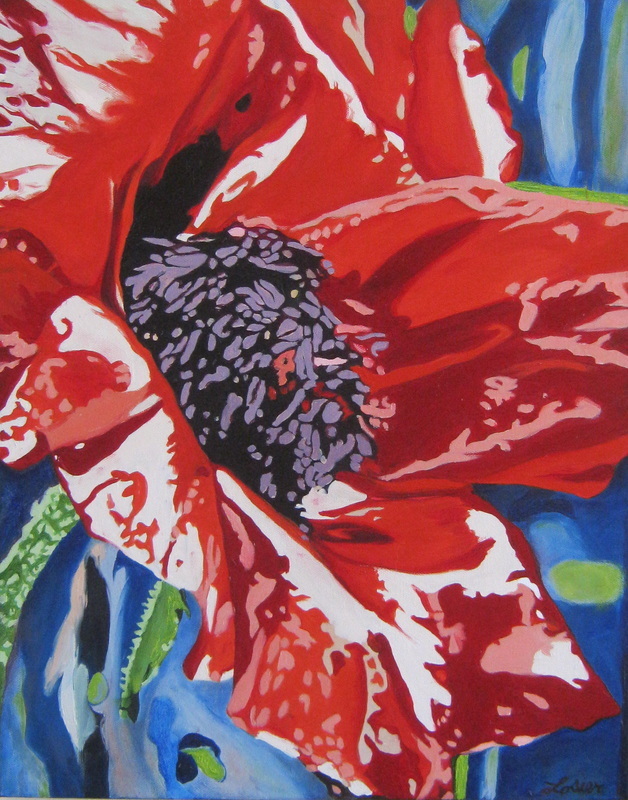 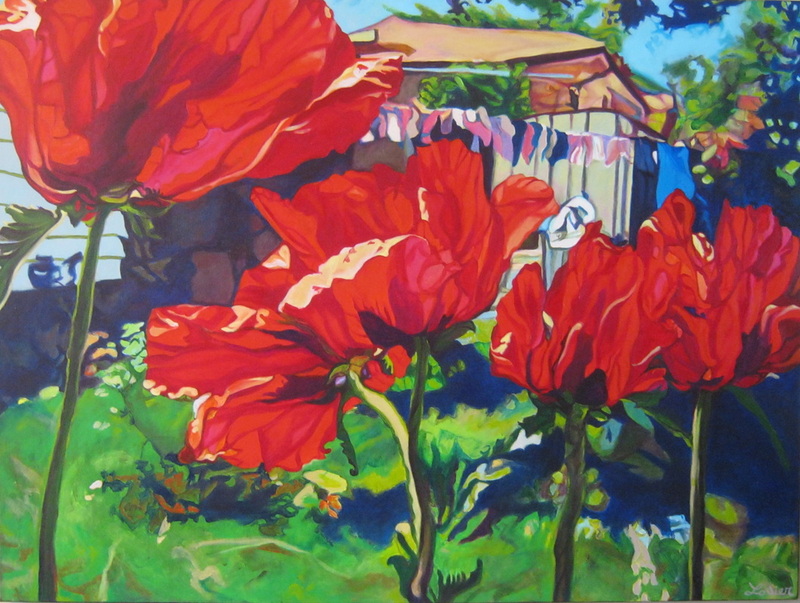 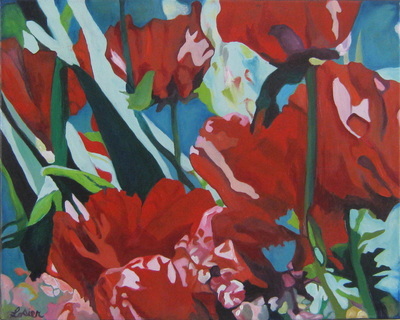 Poppies Waving To Laundry, Acrylic Painting, 2014, 36X48, SOLD!